That's the view of analysts at Morgan Stanley. In a report published Monday, they say a 5% increase in the value of the dollar against a basket of currencies could push oil down by between 10% and 25% -- which would mean prices falling by as much as $8 per barrel. Crude oil prices are already trading at around $31, near their lowest levels in 12 years. Prices tumbled over 6% on Monday, and are 16% down so far this year. Oil has dropped more than 65% since a peak 18 months ago. Analysts have attributed the slump to a global supply glut brought about by slowing demand and high production. But the report by Morgan Stanley (MS) says the dollar's gains are also to blame. Global oversupply may have pushed oil below $60 per dollar, but the recent falls are due to sharp currency moves. The International Energy Agency expects the oil market is likely to remain oversupplied throughout 2016. And if the dollar keeps strengthening, it could squeeze prices even further, according to Morgan Stanley. "Given the continued US [dollar] appreciation, $20-25 oil price scenarios are possible simply due to currency," the analysts wrote. As the dollar strengthens, it makes oil more expensive for buyers paying with other currencies. That can weigh on demand and prices. Of particular concern is the relationship between China's currency and the dollar. The yuan has already fallen about 6% since last August. 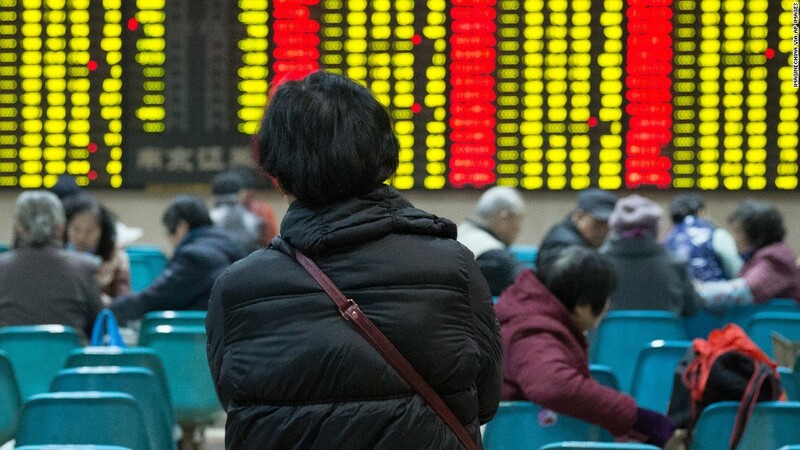 Any move by the People's Bank of China to devalue the yuan still further could add to the pressure on oil prices because China is the world's biggest importer. The central bank has been guiding the currency lower against the dollar in order to aid Chinese exporters and prop up weakening economic growth.